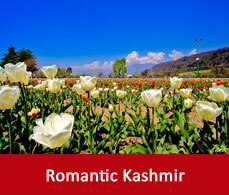 Jammu and Kashmir nestling in the north of India reflects to you the paradigm of beauty. Surrounded by high risen peaks covered by snow this land of beauty withholds within itself many serene lakes, greenery and many places of attractions. These places of attractions have been summarized for you so that you may choose your choice from the platter. 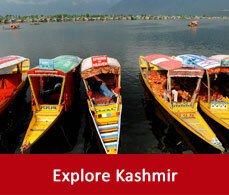 Various available Kashmir tour packages will help you complete your entire tour of theses tourist places. 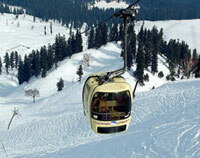 This is available in Gulmarg of Jammu and Kashmir. This is the world’s highest operating cable car. 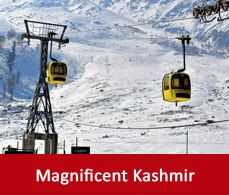 You may take a ride of this Gondola high above and may have a tour of almost entire Kashmir from great heights. 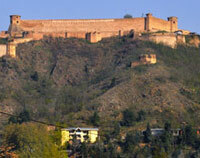 It is one of the most fascinating part of Srinagar sightseeing. Amidst the mountains this lake is feeded by the waters from a spring and from a mountain lake called Mar Sar. This lake is divided into a bigger one called Lokut and a smaller one called Bod. Along the shores of the lake there lies some islands which are very fertile for cultivation practised on these floating gardens on the islands. 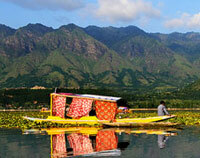 On these serene waters of the lake you will find the famous shikaras or houseboats of Kashmir. Tourists crave to spend their times in the houseboats in Kashmir. The famous fort of Hari Parbat nestles on the famous Hari Parbat hill. This fort remains closed for public due to military usage. According to Hindu mythology people are of the belief that this is the dwelling place of Lord shiva and Parvati. 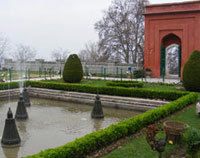 This royal garden of Srinagar showing the Mughal delicacy is designed with beautiful flowers of all types and waterfall which ends up by pouring its water into a pool. This garden has the highest number of chinar trees since the Mughal time. This lake is located at a higher altitude like 3590 metres. This lake gets its water from the streams and from the snow on the mountains surrounding it. Sheshnag lake looks green due to the green meadows at the base of the lake and surrounding the lake. 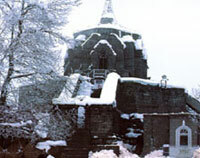 This temple is located on the famous shankaracharya hill in Srinagar. It is dedicated to Lord Shiva. This temple attracts many pilgrims every year. This is another architectural evidence from the mughal time. This garden has some of the remains of the buildings of the Mughal period. Situated on the banks of the Dal lake this garden adds more glory to the beauty of the Dal lake. 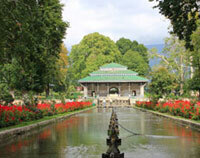 Designed with fountains and flowers Nishat Bagh is worth visiting. 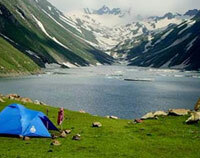 It is a high altitude lake located in the Pir Panjal range of Jammu and Kashmir. This lake is the widest and many trekking programmes are conducted near this lakes. 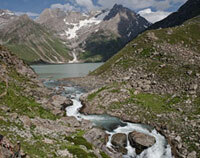 This valley is located near to Pahalgam. This place is surrounded by snow clad mountains and lush green valleys. It is criss-crossed by lakes as well. 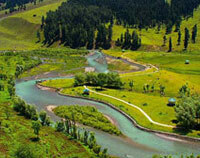 Kashmir valley is a hub of gardens and lakes. 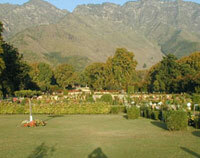 It is another garden of Kashmir full of variable flowers and trees with a backdrop of Kashmir’s mystical mountains. 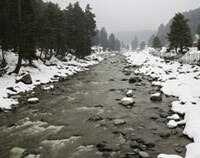 Lidder river flows through the beautiful village of Pahalgam. 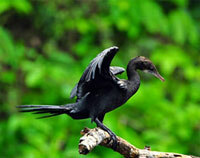 It is an adventurous spot for the sport lovers as you may enjoy the experience of angling, trekking and rafting here. This national park located in Srinagar is a house to various wild animals. you may take a safari of this park and may enjoy the view of the wildlife.